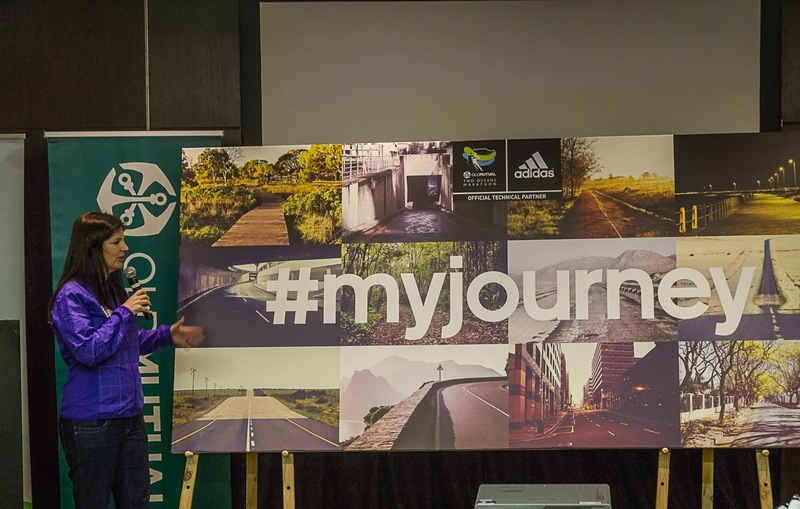 Adidas SA is again going “all in” with their Old Mutual Two Oceans marathon (TOM) campaign, during which they invite all runners to share #my journey – or in other words: runners are invited to send them a photo and a story about what running has meant in their lives via instagram. 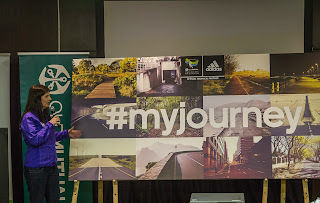 It is a continuation of the popular “my journey” social media campaign launched in 2013 – but in 2014 the best story and picture will win the runner a trip to next year’s Berlin Marathon, also sponsored by adidas. 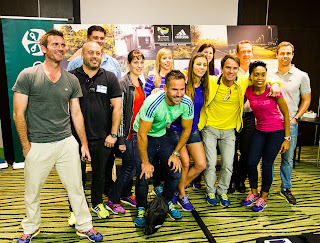 At the official TOM media launch and ultra-marathon registration opening, Lauren Haakman, adidas Brand Marketing Manager Performance, kicked off the campaign by inviting some adidas ambassadors to tell the stories of their running journeys. 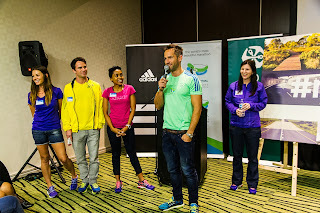 TV presenter Janez Vermeiren told how he runs all over the world wherever he is travelling; Survivor SA finalist Letshego Moshoe will be running her fourth ultra and will link her “running journey” to her charitable work with kids in Diepsloot; weather man Derrick Van Dam will run his second marathon in what he predicts will be a good weather day; while Nicolene Mostert started her journey with adidas as model, but became a runner and recently ran from Pretoria to Cape Town to create awareness of alzheimers and will climb Kilimanjaro just before the TOM to raise money to buy prosthetics for children. 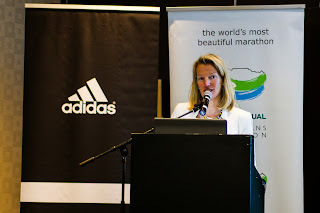 A great part of the adidas heritage is built around running and they will therefore work with the TOM to ensure that runners sign up for the race, said Haakman. While the arrival of a baby will prevent Haakman from running the race, adidas SA MD Roddy van Breda will run his 7th ultra-marathon. Sponsor Old Mutual announced a R1-m bonus for the man or woman to break the long standing race records: for men, the 3:03:44 time set in 1988 by Thompson Magawana, and women the 3:30:36 time set by Frith van der Merwe in 1989. The South African leg of the Banff Mountain Film Festival, hosted by Cape Union Mart and sponsored by The Mountain Club of South Africa, Deuter, LED Lenser and GoPro, will be held from Friday 25 October until 1 November 2013 at Ster-Kinekor cinemas across the country. 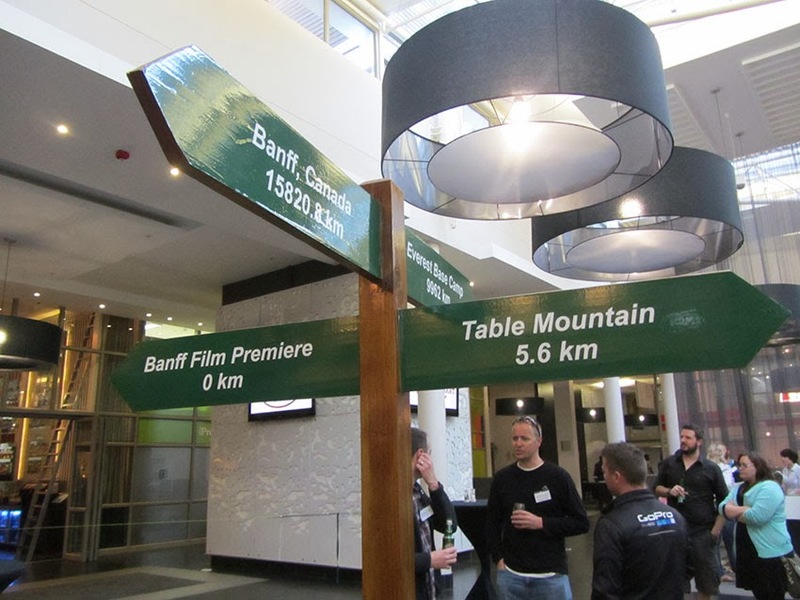 This is the eighth consecutive year that Cape Union Mart will be hosting the South African leg of the Banff Mountain film festival. Cape Union Mart invited members of the press for a screening at the Upper East Side hotel in Woodstock, Cape Town, on the 8th of October. 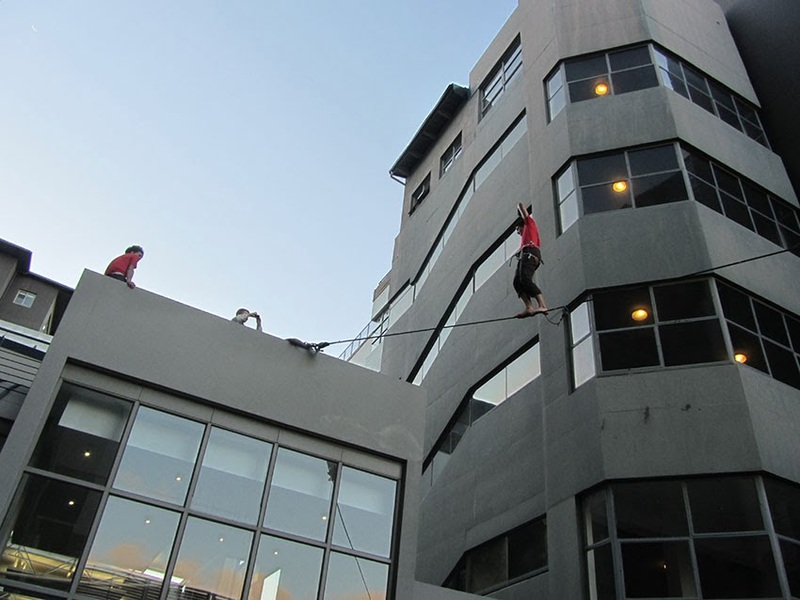 Here, the audience not only enjoyed a preview of the much anticipated event, but they were treated to performances by the Cape Town slack lining community as well. A spectacular slack lining performance at the Banff Mountain Premiere in Cape Town on the 8th of October. 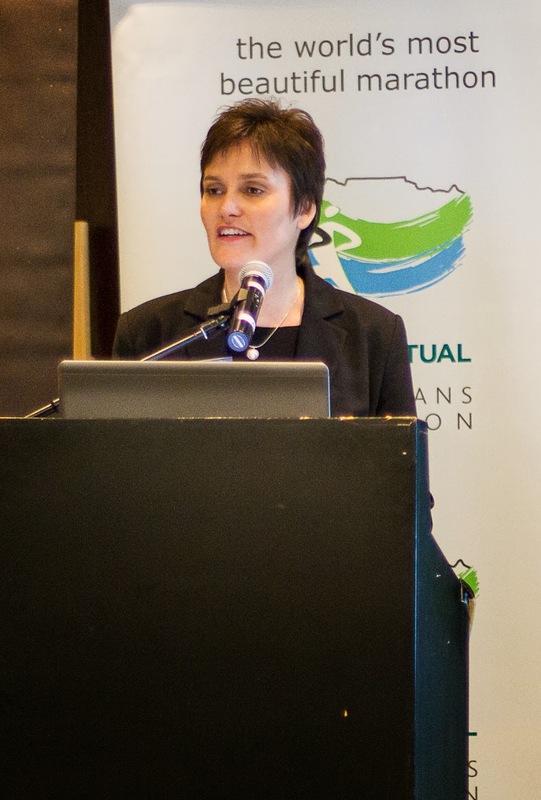 Earlier this year Cape Union Mart challenged South African filmmakers to submit short films portraying South African outdoor culture. The winner of the Adventure Film Challenge will be screened as the opening film alongside the world’s top outdoor sports films at the SA festival. The production Flying with Vultures – Path into the Future, produced by Green Renaissance, a film about vulture Conservationist Kerri Wolter who has a life changing experience when she paraglides with the threatened Cape Vultures, won the SA film challenge this year. 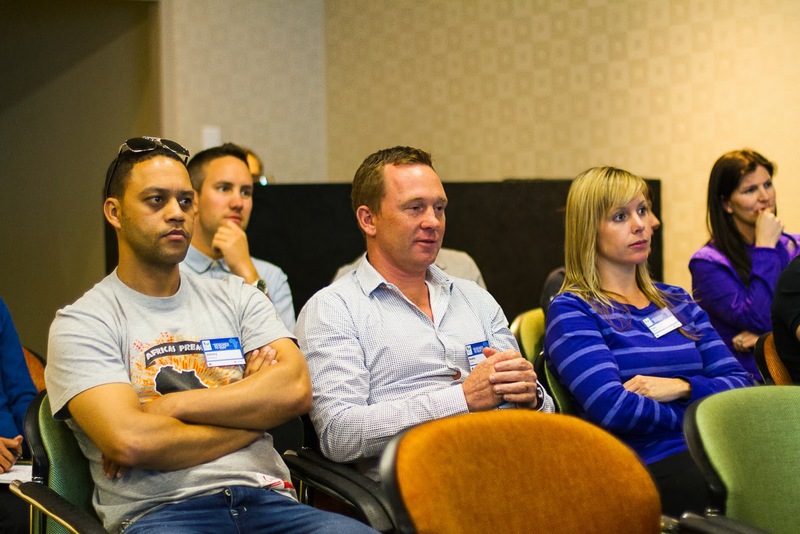 The aim of the Adventure Film Challenge is to challenge South African filmmakers to produce more outdoor content, explains Nick Bennet, marketing manager for Cape Union Mart. 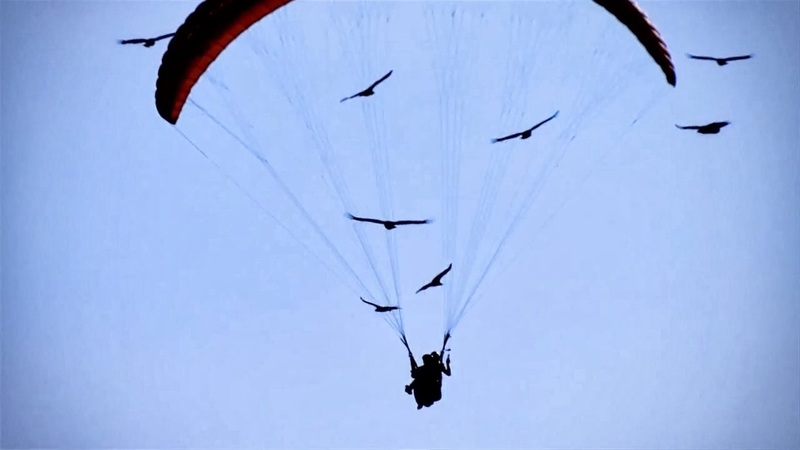 Submissions for the 2014 Adventure Film challenge have already been opened: click here to submit. The international films that will be showcased at the festival includes Rollerman, Reel Rock 7: Wide Boyz, Being there, Wingsuit downhill target punch, On the road – Skiing the void, Lily shreds trailside, 1st Afghan ski challenge, Industrial revolutions, Wanna Ride?, The Gimp Monkeys and Crossing the ice.